I’m out in the community every week visiting places where people get together. For me, it’s an opportunity to meet new people who aren’t involved in community activity. 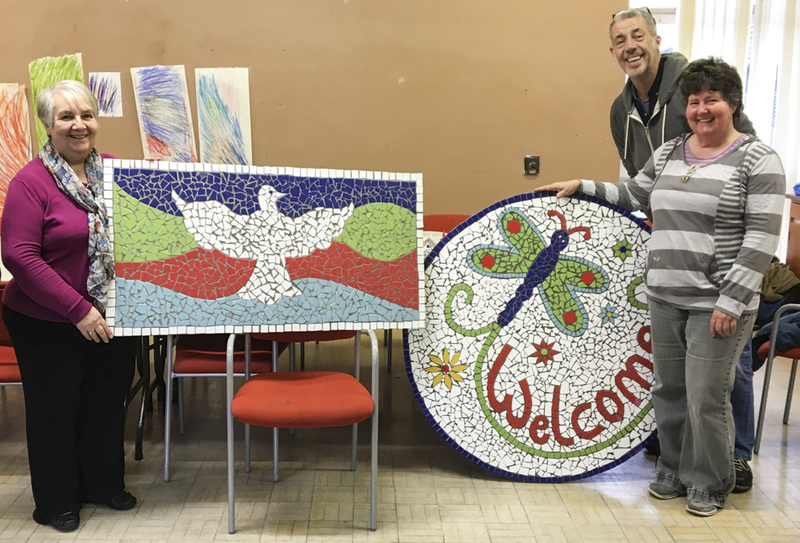 One of those places is the Wellbeing Centre where one of our LRG members, Joan Tipping, oversees a range of mostly creativity-based activities. There’s a restaurant run by Mind, staffed by people who have been through the mental health system. People stay for lunch so it’s a good time to chat. I met Danny who plays pool with a group of men three lunchtimes a week. They have all survived the mental health system and are keen to set up a football team. A Cash 4 Graft has enabled them to buy a little bit of equipment and be independent from local football teams which are all a little too competitive for where they are at. Val’s husband has dementia. She wanted to start a support group for people with dementia and their carers. A Cash 4 Graft helped fund some much needed resources to run the sessions. Tom had recently been diagnosed with diabetes, and has found it difficult to get his head around. He used a Cash 4 Graft to get word out to people in a similar position and started a support group. Larger grants from the Fourteen programme, still only £1,000, have helped support the many therapeutic sessions that take place at the centre. All of these activities have stemmed from me ‘hanging about’, chatting to people and having a funding system that has no bureaucracy attached to it. Small amounts of money leading to significant benefits for a significant number of people. So what happens when a bit more money is needed and the Fourteen programme has finished in the area? How are these new initiatives sustained? People have been supported to think beyond just a financial need. Networks have been created where people are now more aware of small scale streams of cash such as those distributed by Forever Manchester, and the Neighbourhood Investments Funds from the City Council. More significantly, the LRG has a new initiative developing called ‘The Big Meet,’ which will grow and grow even after Forever Manchester has left the area. The Big Meet brings together all of the community-based activity – about 70 groups in Harpurhey and Moston – to support each other with governance, the law, policy-making, fundraising, marketing and social media. Seventy groups equates to hundreds of people and an enormous range of skills and expertise that can be pooled and shared. It’s not all about money. Graeme is pictured at The WellBeing Centre, Harpurhey with Joan Tipping, left and Val Meakin.